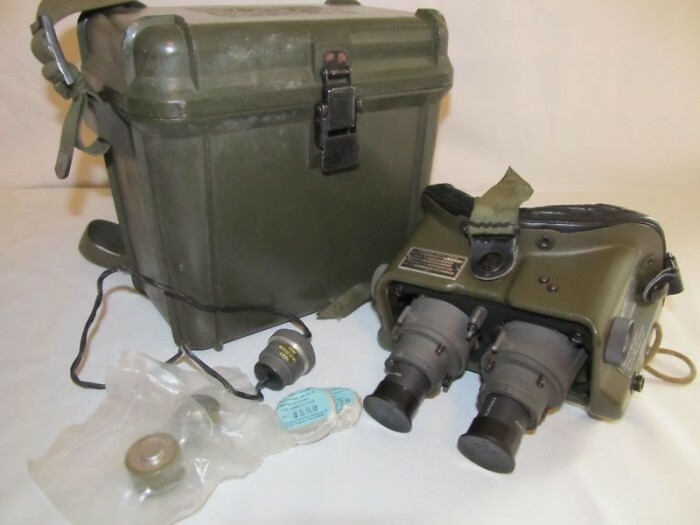 The AN/PVS-5a is a second generation night vision goggle developed in the late 1970s. They were expensive to manufacture and cost the military approximately $5000 each pair. Later generations included the PVS-5B and PVS-5C. In addition to a few improvements, these models were adapted to use both the BA-5567A/U military battery as well as two of the more common "AA" batteries. Night Vision Goggles work by amplifying ambient light and are also capable of seeing in complete darkness by using an infrared [IR] beacon. These goggles were contracted by various companies for production including ITT, Litton and Varo to name a few. There is a variation of the 5a which has a black face mask. One is an Israeli military model and the other is a civilian model by Litton made to the same specs as the military version seen here. The correct base for the Ecto Goggles a.k.a. Para-Goggles is a green military PVS-5A face mask. 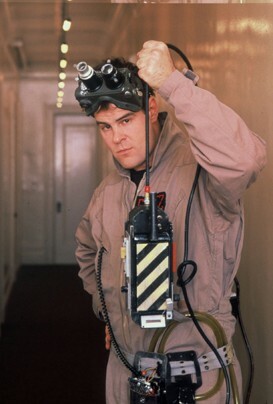 In addition to the face mask, the only other original parts that are still attached in the film are the battery compartment and the On/Off switch which was lost or removed sometime between filming in NY and LA. 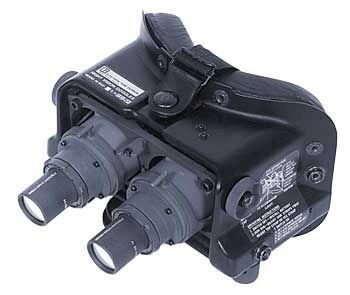 In GB1, the optics on the goggles were specialty camera lenses, mounted on an aluminum plate and affixed with socket head screw caps to simulate the NVG side knobs. The original face cushion is not used, but instead adhesive foam tape has been attached. In addition, a custom elastic headstrap was made for the actor to comfortably rest the goggles on the forehead. When filming in LA continued, a few danger labels and dry transfers were added for aesthetics.